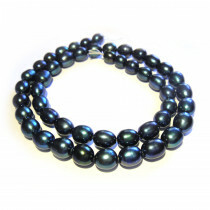 Freshwater Pearls differ from other cultured pearls in that they are not bead nucleated but a small piece of mantle tissue from another oyster is used. 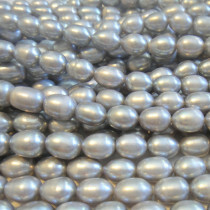 The result is a pearl composed of solid nacre, making them quite durable and resisting degeneration. 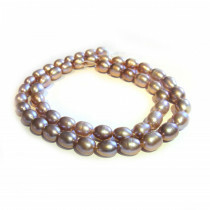 Natural Freshwater Rice Pearl Lavender 6-7mm Beads (~50pce Strand) - 40cm/16" Strand. 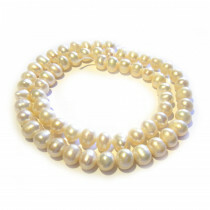 Natural Freshwater Rice Pearl Cream 6-7mm Beads (~50pce Strand) - 40cm/16" Strand. 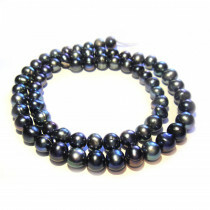 Natural Freshwater Rice Pearl Peacock 7-8mm Beads (~40pce Strand) - 40cm/16" Strand. 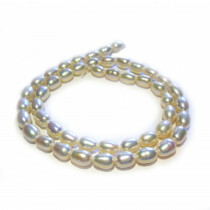 Natural Freshwater Potato Pearl Cream 6-7mm Beads (~62pce Strand) - 40cm/16" Strand. 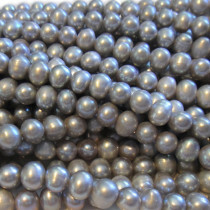 Natural Freshwater Potato Pearl Peacock 6-7mm Beads (~62pce Strand) - 40cm/16" Strand. 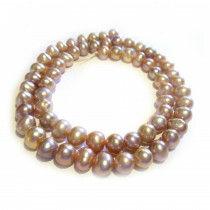 Natural Freshwater Potato Pearl Lavender 6-7mm Beads (~62pce Strand) - 40cm/16" Strand. 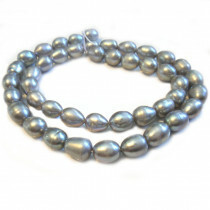 Natural Freshwater Potato Pearl Grey 6-7mm Beads (~62pce Strand) - 40cm/16" Strand. 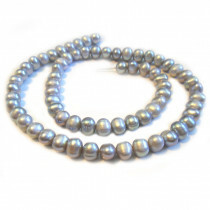 Natural Freshwater Rice Pearl Grey 7-8mm Beads (~40pce Strand) - 40cm/16" Strand.